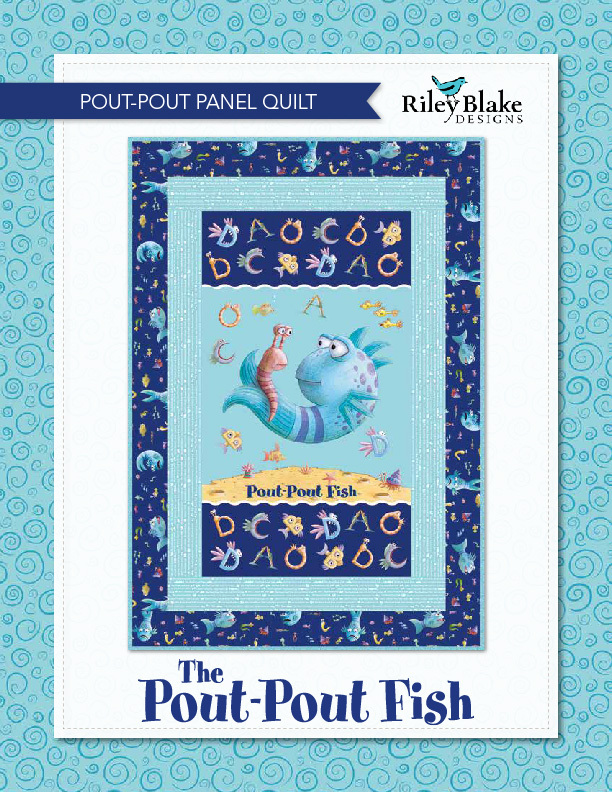 Panel depicting pages of a children's’ book with various marine creatures for each letter of the alphabet, and instructions for assembling a soft book.The Pout-Pout Fish has entertained many children, and now he’s here for your next children’s project! All of the favorite characters from the books are here in this collection with bright marine colors, sea life, and more. Panel size is approx. 24" x 42"